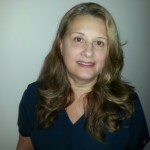 Meet Deborah Michaels O’Brien, our certified massage therapist and Reflexologist. She has been providing rejuvenation and stress reduction at our office for over 15 years. At Coastal Chiropractic & Acupuncture we offer 60, and 90 minute full body massages. You will notice that you feel more relaxed, and that stress is reduced. Massage lowers blood pressure, increases blood flow to the brain for better productivity, and also lowers blood sugar. Deborah is also a reflexologist. Reflexology is an alternative medicine involving application of pressure to the feet with specific thumb, finger, and hand techniques which may be an effective way to alleviate stress. The theory behind reflexology is that these areas correspond to organs and systems of the body. This technique can help the body regenerate and help with both healing and overall wellness. Reflexology and Massages are by appointment. Call Deborah for an appointment and more information at : 609-412-8282.